Good news all round for Texas and their fans. As they embark on their 25th year anniversary Texas are steadily making their way back onto the charts across the whole of Europe. Their album ‘The Conversation’ entered number four on the UK charts back in May, whilst the lead single also titled ‘The Conversation’ is an airplay smash hit. Texas release the latest single from the album ‘Detroit City’, which will be released through [PIAS] Recordings on August 12th. ‘Detroit City’ follows the single ‘The Conversation’, a radio favourite and A-list record at Radio 2 that signalled Texas were back and doing what they do best. 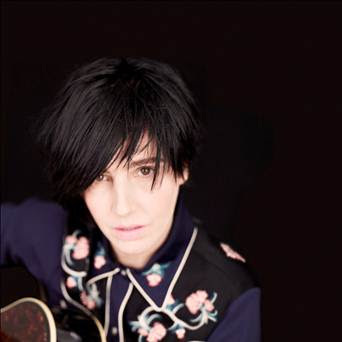 ‘Detroit City’ is classic Texas, an infectious pop melody and killer singalong chorus courtesy of Sharleen Spiteri’s trademark soaring vocals, set to a contemporary melting-pot production that spells 'Surefire Summer Anthem'. Detroit might well be the city to watch/namedrop in 2013 ("it's like the old Berlin spirit for a new America," comments the Texas frontwoman), but in 'Detroit City' Spiteri marries the ghosts of Detroit past, present and future. Ladies and Gentlemen, here comes the summer's sun! Also check out their UK tour dates for this November kicking off on the 9th in York and ending on the 19th in Edinburgh.